Brand logos can provide affective reactions before any promotional activity is carried out. This is particularly relevant for start-ups that might not have the budget for branding activities. Extant research is predominantly based on theoretical models. By contrast, we adopted a customer-based approach with a novel methodology—multiple picture sorting—to investigate the most relevant characteristics that customers identify for differentiating novel logos, and compared them with existing theories. Ninety-three subjects were asked to classify unknown logos according to criteria of their choice. Most customers clustered logos into: (1) composed of brand icon and/or name and (2) coloured or black logos. We then used experiments to test whether the logo characteristics identified by customers make a difference in logos’ attractiveness. Results show that logos composed of an icon plus a brand name are perceived as significantly more attractive than logos made of one component only, and that black logos are perceived as more attractive than coloured logos. Thus, customers-identified logo characteristics can guide entrepreneurs in designing and selecting logos for novel brands. 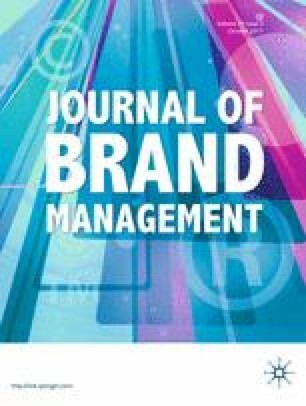 This study adds to current theory by showing that one of the most relevant logo characteristics—brand icon and/or name—has rarely been investigated. See Tables 9, 10, 11, 12, 13 and Figs. 9, 10.